Two blocks each of four lawcourts, a smaller block of interview rooms and an eight-storey office slab are grouped around a central hall. An entresol in each court block is for magistrates only. The height of the central hall offers those waiting on the ground floor an ample view of the legal machinery at work. The surface of the concrete used unsparingly both inside and out varies in texture due to continual changes in the lining of the formwork. 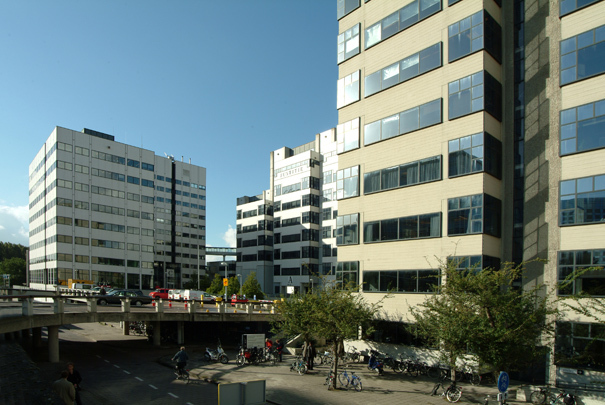 Loerakker added an extension in 1984-1990.